More featured speakers coming soon! Check back for updates. RICHARD HEINZL is the founder of Doctors Without Borders Canada: the Nobel Peace Prize-winning organization that has inspired a movement among medical professionals to help the world’s most vulnerable populations. Modest and deeply passionate, he shares stories of ordinary people doing extraordinary things in the midst of war and other challenges—and how technology is changing the face of medicine around the globe. In 1988, just out of medical school, Richard Heinzl founded the first North American chapter of Doctors Without Borders/Médecins Sans Frontières, the Nobel Prize-winning humanitarian organization. Shortly thereafter he became its first field volunteer, spending an extraordinary year in remote Cambodia. (These experiences are movingly captured in his memoir, Cambodia Calling.) Hundreds of volunteers have since followed in his footsteps, bringing their healing skills to help many of the world’s most vulnerable people. 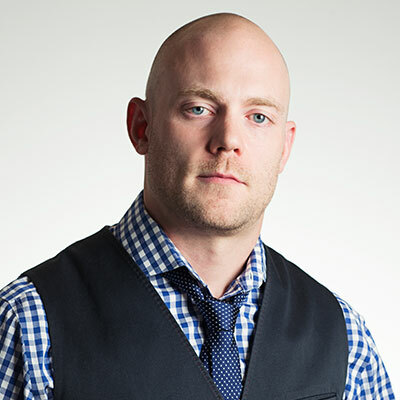 For his work, Heinzl has been named one of Report on Business’s Top 40 Under 40. Today, Dr. Heinzl continues to work with DWB/MSF on technology issues as an advisor on their Telemedicine Advisory Committee. He is also the new Global Medical Director of the Boston-based, Harvard-affiliated WorldCare International: a leader in providing access to quality second opinions from physicians at some of the world’s top academic medical centers. A renowned speaker, Dr. Heinzl shares his stories of ordinary people doing extraordinary things in the midst of war and other challenges. TENNILLE AMOR is a singer/songwriter, United Nations Youth Champion, philanthropist, public speaker, writer, and movement maker. Her brand is steadily growing across a number of platforms, and her desire to unite people of every race, class, and creed around the world is what fuels her passionate drive. Tennille has written, worked and performed with artists like Shaggy, Mr. Vegas, Bunji Garlin, John Legend, Pixie Lott, Beenie Man, the Black Eyed Peas crew, Drew Chadwick, Anthony B, Red Fox, Ultimate Rejects, Jimmy October, Inzey, Rheon Elbourne, Pras, Chris Young, Michael Franti, Sly & Robbie, and Kwame. Tennille’s music is a fusion of mainstream pop, meaningful hip-hop, and her soulful reggae roots. Originally from Trinidad, she has lived all over the world, including Scotland, Egypt, Singapore, and England. She is currently based in New York, but spends a lot of time in Los Angeles and Trinidad, working on material for her mixtape, ‘EVOLVE through LOVE,’ scheduled to be released this year. To "EVOLVE through LOVE" for Tennille, means to grow through the many experiences love provides, in order to find a deeper meaning in life, and an ability to connect to a more lasting unconditional love. A worldly "one love" for humanity at large. In following her personal path she has found her true sound, exhibiting her multifaceted capabilities (from mainstream pop to quick-tongued rap, and reggae groove), which allow her to create music that is unexpected, deeply addictive, commercially pleasing, and lyrically inspiring. Tennille's song 'I Am a Girl' was officially launched as the anthem for International Women's Day, 2016, at the United Nations Headquarters in New York. Tennille is currently a United Nations Youth Champion, supporting the Gender Equality initiatives set forth by UN Women. She has sung at various events around the world, and spoken on a number of official panels about the importance of Female Empowerment. Tennille is a trained actor, talented creative writer on varying platforms, recognized and respected leader, and has spoken at a number of events, schools and universities about her work in the entertainment industry, as well as her work with the United Nations and E.P.I.C. She was chosen by P. Diddy to be featured in a commercial with him, DJ Khaled and French Montana, highlighting the next wave of movement makers in the entertainment industry. Tennille has been featured on Global Grind, Hello Beautiful, The Huffington Post, Revolt TV, Complex, and MTV. She was an #Earthmover for CAT Footwear, a ghost writer for a social media campaign recently released by one of the biggest names on the music scene, was the global brand ambassador for Quiksilver Women for 5 years, was part of a huge marketing campaign for JetBlue, had her songs played on the radio in Scotland, as well as being featured in a number of UK publications, has been featured on TV and in a number of publications in Trinidad, and currently has her songs playing on a few of the most popular radio stations in Trinidad. By continuing to grow her brand over the next few years, Tennille Amor will be one of the leaders in the conscious movement of light and love that is becoming recognized as being of utmost importance in a time when our world is vastly divided and in need of tremendous healing. Having battled with alcohol and drug abuse in the past, as well as indulging in a various other vices, Tennille's decision to turn her life around came from recognizing the importance of using her platform for good. Her spiritual grounding and foundation keep her humble, reminding her that while we are all still so small in the large scope of the universe, every little thing we do can make a massive impact on the world at large. 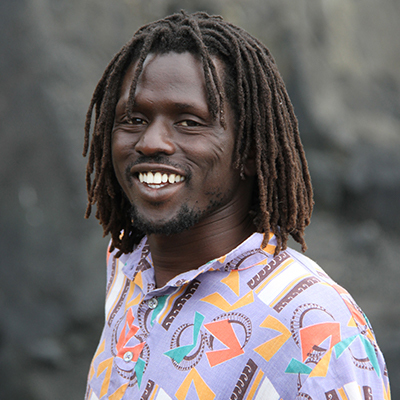 EMMANUEL JAL is a former child soldier from South Sudan and is now a successful recording artist and peace ambassador. Emmanuel has released five award nominated studio albums and performed alongside artists such as Lauryn Hill, Peter Gabriel, Nelly Furtado, Nile Rodgers and Alicia Keys. Emmanuel co-starred with Reese Witherspoon in the Warner Brothers motion picture, The Good Lie in 2013 and has published his own book ‘Warchild’ and released a documentary of the same name. Emmanuel has his own charity ‘Gua Africa’ and is also the creator of Jal Gua, a gluten free super food powder made of organic sorghum and organic moringa, which has 140% iron, 45% Vitamin C and 40% Vitamin B1 of the daily recommended intake. Jal Gua is stocked in major health food stores including WholeFoods and Emmanuel also has runs his own organic café of the same name in Toronto. 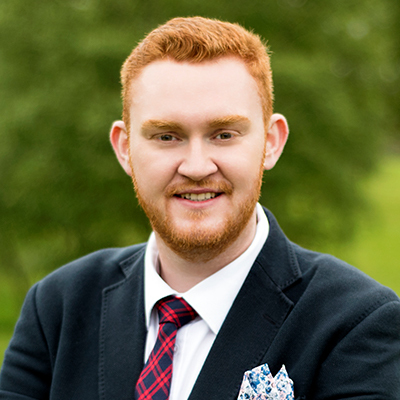 JOHN LOUGHTON led his first campaign at age 11 and was elected as the youngest ever Chairman of the Scottish Youth Parliament in 2007. After running a series of successful community organizing campaigns, he had a successful career running public affairs for leading NGOs in London. Loughton rose in profile after winning UK Big Brother Celebrity in 2008 and in 2011 and soon after founded his own global leadership training company Dare2Lead – which he heads to this day. He was a Co-Convener of the Scottish Parliament’s Cross Party Group on Youth, sits on the Advisory Council to the Scottish Human Rights Commission and was appointed by the Prime Minister to serve on the Commission on Scottish Devolution. Loughton was also a JCI Ten Outstanding Young Persons of the World honoree in 2013. Loughton has worked in over 35 countries across five continents and directly engaged with major influential leaders around the world. Internationally, he has served as UK Prime Minister in Washington D.C. for the Youth Diplomatic Service and was a keynote speaker at the UN World Conference on Youth in Asia in 2014. His thematic passions are youth rights, civic political participation, leadership and gender parity. 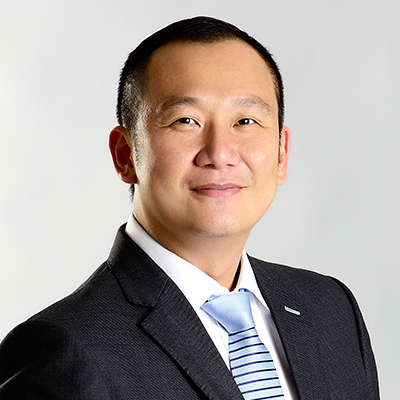 Junior Chamber International (JCI) has just awarded Mr. Seah Kian Hoe as the one of the honorees for World Award for Ten Outstanding Young Persons (TOYP), which is a non-profit organization (NGO) officially partnering with United Nations since 1954. This Ten Outstanding Young Persons (TOYP) of the World Program was developed by Durwood Howes, the President of United States for year 1930 and 1931. 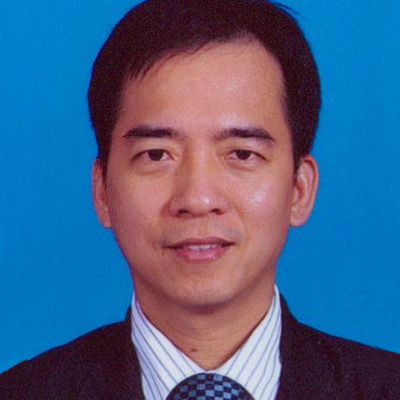 Mr. Seah is the founder and Managing Director of Heng Hiap Industries Sdn Bhd (HHI). Formed in 2002, HHI is at the forefront of developing innovative recycling technologies. Conceived and developed locally, the company has rolled out a total of eight breakthrough technologies to date with eighteen patents filed. One of their groundbreaking mechanical recycling technologies include transforming plastic scrap into Smart Plastics, which can be used in highly specialized niche applications. Some unique features of Smart Plastics include electric conductive, bio plastics, fast cycle, anti-bacteria, just to name a few. Through Thermal Recycling, the company converts plastics scrap into a New Coal, a substitute with three times calorific value higher than conventional coal. Lastly, the company also converts plastics scrap to New Oil, an industrial equivalent bio diesel. 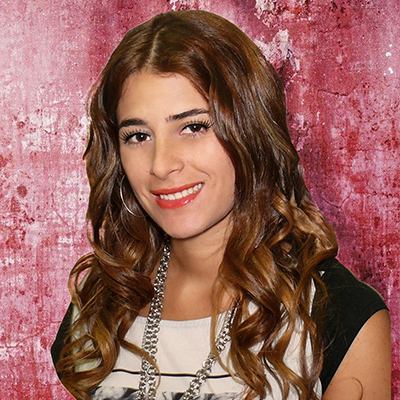 Dima Khatib is the Managing Director of AJ+ in its 3 languages: English, Arabic and Spanish. She is the only female executive within Al Jazeera Media Network. She joined Al Jazeera back in 1997 and has since set up bureaus in China and Venezuela, reporting from over 30 countries, interviewing presidents and people from all walks of life. Dima has been classified among the most influential Arabs on social media. She has one published book in Arabic: Love Refugee. For the past thirty-six years, Ilco van der Linde has been driven by his passion to bring people together, regardless of color, faith or cultural background. Music, art, media, events and informal education always play a central role in his campaigns. Directly as well as indirectly, millions of people are reached through the social causes he promotes. In January 2011, MasterPeace was awarded the ID Award by 1,000 Dutch business leaders during the Big Improvement Day (BID), and described as “The Most Innovative Idea of The Year.” In June 2013, the USA based Rockefeller Foundation awarded van der Linde and Helmy by adding them both to the “Top 100 of Next Centuries Innovators.” In October 2015, they were awarded the Luxembourg Peace Prize by the Schengen Peace Foundation and the World Peace Forum. Since September 2012, van der Linde has been a regular blogger for the Huffington Post, covering topics such as positivity, youth empowerment, diversity, peace, disarmament and the mobilization of civil society. In July 2015, he opened “The Little Mandela House” in the center of Amsterdam where mediators support citizens to stop their conflicts, social entrepreneurs find support to develop their initiatives and the start of a brand new movement for respect began. 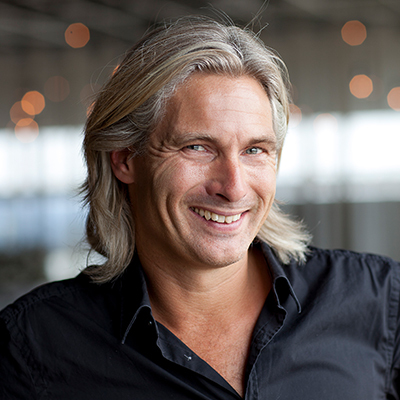 In September 2015, van der Linde’s first book “Be A Nelson” was published. 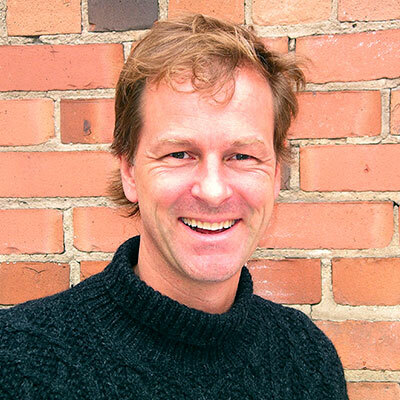 Daniel Wilkins is a media professional specializing in out-of-home media and digital display technologies. In January 2008 he launched the first ever privately held media agency solely dedicated to the planning and buying of digital place-based media campaigns, called n2. In 2012, he successfully negotiated the sale of both of his companies, Wilkins Media Company and n2, to a private investment group. 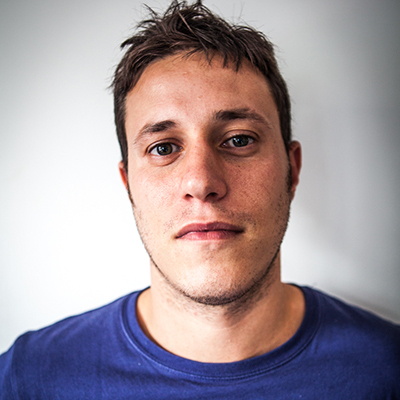 In December 2013 Daniel launched Agency672, which simplifies the planning and buying process of all out-of-home media formats, as well as digital display media, globally. He is also the Executive Director of the PVBLIC Foundation, a non-profit organization that harnesses the power of media to drive social change. When he isn’t helping create meaningful media partnerships globally, he can be found teaching Brazilian Jiu Jitsu (BJJ), competing in BJJ tournaments around the country, or spending time with his wife and two daughters. Specialties: Strategic media planning and buying, out-of-home media, digital, digital place-based media, non-profit management, social impact, marketing. David Smolansky Urosa currently serves as the Mayor of the El Hatillo Municipality in Venezuela. He received his Bachelor’s degree in Mass Communications with a specialization in Journalism from the Universidad Católica Andrés Bello and his Master’s in Political Science from the Universidad Simón Bolívar. Smolansky has held several journalism positions with news outlets, including BBC London and El Nacional Newspaper and currently serves as anchor of the radio show “Municipio Venezuela” as well as Director, Founder and featured columnist of Diploos Venezuela C.A., a Think Tank covering Venezuelan foreign policy. 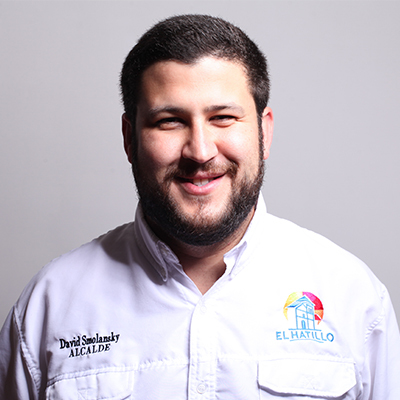 His quest in leadership defending the rights and freedoms of Venezuelans began when he became the youngest Mayor in Venezuela when he was elected as the El Hatillo Municipality Mayor. Through this position, Smolansky has tirelessly worked to ensure the safety of more than 100,000 habitants in El Hatillo; since his election, crime rates have dropped significantly. He also introduced new environmental inspections and accountability systems and has tackled some of the municipality’s biggest educational system flaws. Smolansky has achieved partnerships with 150 different NGO’s, private sector companies, embassies and multilateral and regional agencies resulting in the provision of five municipality schools, the addition of two school bus routes and the First Census of Disabled Persons in order to promote social inclusion. Smolansky’s administration is aimed at establishing modern and effective communications, through transparent management and operations. He promotes and stands for social progress and better standards of life so that all humans can enjoy freedom of speech and belief. For his tremendous efforts, Smolansky was honored as a JCI Ten Outstanding Young Persons of the World (JCI TOYP) in 2015. Lilia is a Mexican activist. She is the founder and the director of LIBRE, non-governmental organization, which promotes the empowerment of Mexican citizens to achieve full exercise of all their rights, contributing to the visibility of public problems and seeks an impact on the treatment and resolution of these. Her dad, Ruben Aguilar is a politician and an activist, her mother Matilde Gil was a social activist focus on education of poor communities and was the head of a community school. As a result, her life was linked to the social activism from an early age. 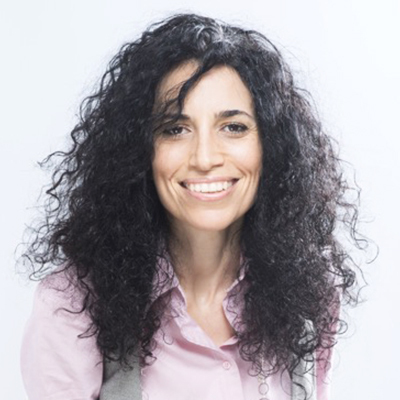 Lilia has been a panelist on a Forum called Inclusive Security: Standing Up To Violence of The Institute of Politics (IOP) at Harvard University as a speaker along 3 other activist on conflicted areas. Also, she participated on Women in the World's 7th Annual Summit in New York City with the item: "WOMEN ON THE RUN: Why the women and girls of Central America are fleeing to the United States". She carried out Seminar of Conflict Prevention, Resolution and Reconciliation, and Social Organization: Challenges and strategies. After years of activism in favor of the youth and the poverty in her State, in 2004 Lilia became a State Representative at Chihuahua’s Congress. Later, in 2012 she was elected as a Member of Parliament for the LXII Legislature on the House of Representatives. While in Congress, Lilia promoted transparency talking about the government, women’s rights, justice, electoral equality, indigenous rights and poverty alleviation. She holds two Masters degrees: One in Public Administration for the John F Kennedy School of Government at Harvard University (2012) and a previous one in Applied Public Management at the Tecnológico of Monterrey (2005). During her studies at Harvard University she completed one research project, with the Economy Nobel Prize Amartya Sen and CalendriaGaray, called: "Poverty Programs in Mexico". She was also a Teaching Assistant for Dean Williams and Ronald Heifetz in their leadership courses,considered the most influential class inside Harvard University's John F. Kennedy School of Government. Sarah Meredith is Global Citizen Australia’s Country Director. Over a period of 13 years, Sarah has advised a number of Australia's Federal and State Government Ministers, including working as a Senior Adviser to the Commonwealth Minister for the Environment. Sarah completed Bachelor of Arts at the University of Melbourne and a Master of International and Community Development at Deakin University. 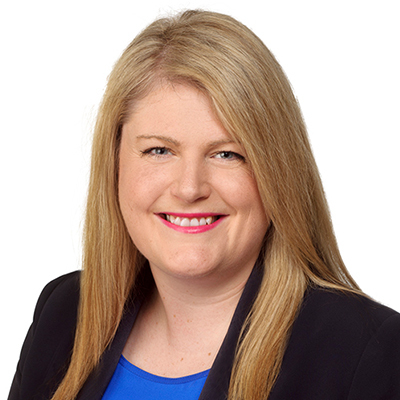 Sarah was awarded City of Casey's Young Citizen of the Year in 2002, was selected as a member of the Australian Government's National Youth Roundtable and represented Australia in the 'Young People Can Change the World' World Youth Forum in Wales in 2001. Born in Colombia, raised in Canada and established in Mexico, Natalia is a multicultural visual artist who has focused her work on Art Direction and Set Design for film, theatre and television. She has also collaborated in various Latin American Film Festivals in Montreal, Vancouver (Canada) and Durango (Mexico). Similarly, she has dedicated part of her life to social art projects in different organizations such as; Familia Ayara in Colombia and MasterPeace Latinoamérica, where she collaborates as an adviser of different projects as Barrios de Paz (Neighborhoods of Peace) in MasterPeace Colombia. In the same way, she is a voluntary in MasterPeace México where she has helped in different projects such as Barrios de Paz Mexico , Muros sin Fronteras (Walls of connections) and Peace Talks. 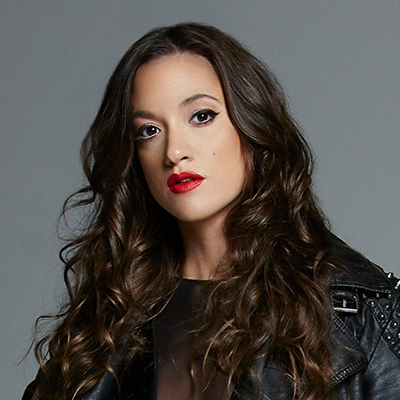 In her free time, Natalia has found in dancing and music, a beautiful language of healing and reconnecting, thus she has focused on Colombian and Mexican Folklore and Urban Dances recently. Likewise, after living a long period abroad Natalia decided to return to Latin America to reconnect with her roots and origins. This path has allowed her to share with different Native Indigenous communities in Colombia and Mexico learning a little of their knowledge and Ancient wisdom. She is currently in a transition from Latin America to Europe, where she will keep collaborating with MasterPeace and undertake new projects. A native Montrealer and world traveler, Jean spent his career as award winning producer/director and produced many “Docu-Variety Specials” for television. In 2004, while doing research for a documentary film, he came across the story of the United Nations International Day of Peace. Since that time he has become involved at the United Nations with the International Day of Peace and co-founded Peace Day 365 to assist in furthering initiatives related to peace education and global citizenship. 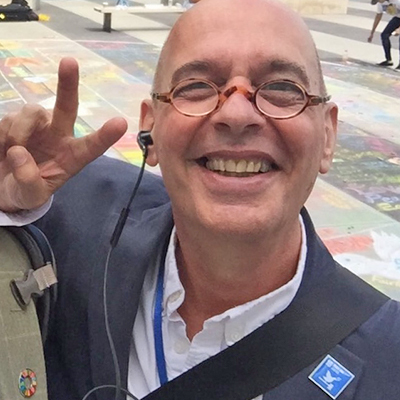 He currently manages social media communication for the International Day of Peace, sits on the Peace Day NGO planning committee at the Department of Public Information (DPI), is on the NGO Committee on the Rights of Indigenous People, International Day of Yoga Committee at the U.N. Jean, in 2016, created the Steering Committee for the International Day of Education for Global Citizenship with the Permanent Mission of Korea to the U.N. as an advisor. 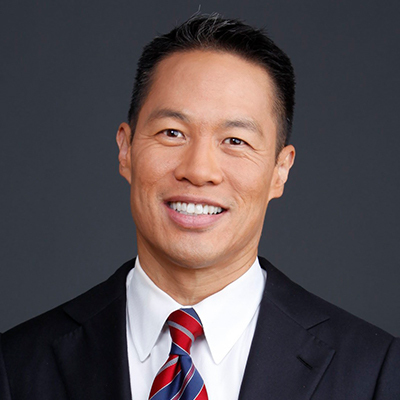 Richard Lui is a journalist and news anchor for MSNBC, NBC News, and formerly CNN Worldwide and Channel News Asia. Lui became the first Asian American male to anchor a daily, national cable news show in 2007. Lui has reported on nearly every seminal international event in the last decade, including conflict and political upheaval in the Middle East and Asia, and socioeconomic challenges in an evolving global economy. More recently he reported live from the field at the Paris and San Bernardino terror attacks and in Ferguson and Baltimore during heightened racial unrest. Richard is a spokesperson for UN Women, ambassador for Plan International’s “Because I Am A Girl Campaign” and for anti-human trafficking group Not for Sale, and Board Advisor for Annie Cannons, an NGO teaching trafficking survivors to become coders. A fintech patent holder, Lui is also a technologist, launching six tech brands over three technology cycles, most recently a Silicon Valley artificial intelligence firm in 2016. He sits on six private and not-for-profit boards as advisor and board member and is a 2016 Governance Fellow at the National Association of Corporate Directors. Lui is ranked in the top 1% of social media users by Twitter Counter and was named one of 21 dynamic careers to watch alongside Jay-Z and Sheryl Sandberg by Business Insider. 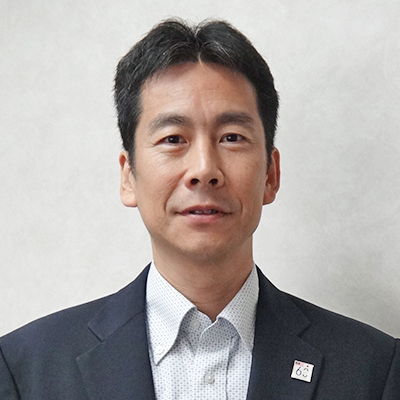 Shinsaku Fukazawa has joined Japan International Cooperation Agency (JICA) in 2003 after experience in private sector for 10 years. He has been in charge of cooperation in Water supply and Waste management sector, Japanese Grant Aid Cooperation Management, Global Environment Department, and has been working in Pakistan overseas office of JICA. Now he is working in Malaysia oversea office as senior representative. Linh Do is a social change advocate who has been working on environmental issues for the past decade. She has a background in community organising, campaigning, new media and strategy development. Linh is most in her element on-the-ground connecting people from different disciplinary skill sets for a common purpose. Linh has worked with a wide array of individuals from high school students to the United Nations Environment Programme (UNEP), and the Reuters Foundation. 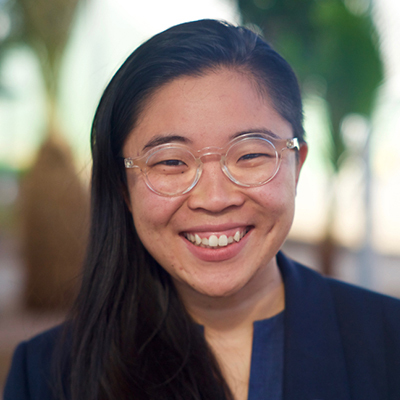 She is a co-founder of the technology start-up OurSay, formerly led the community organising program at the Australian Conservation Foundation and has worked with Climate Action Network International on communicating policy. Linh is signed with Claxton Speakers and has previously sat on both non-profit and for-profit boards. Her work has been featured in Al Jazeera, Vogue, the Huffington Post and the Washington Post amongst others. In 2013, Linh was named a World Economic Forum Global Shaper, Australian Geographic Young Conservationist of the Year and one of Junior Chamber International Outstanding Young Persons of the World. 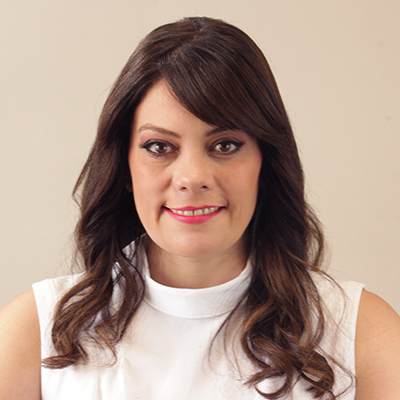 She is based in Melbourne, Australia with extensive experience overseas. Over the last few years, she served as the publisher and editor-in-chief of The Verb where she worked with a global team to localise and humanise stories from the UN climate change negotiations and UN sustainable development goals processes. Having been based across America and Europe, Linh recently returned home to head up the country office for The Climate Reality Project. Since 2012, Benjamin has been a core part of the team at Peace One Day (POD), a campaigns-based organisation that has lead the drive in global exposure of Peace Day, 21 September, from 280 million to approximately 2.2 billion over the last 5 years. As a grassroots leader, qualified teacher and Education Ambassador for POD, Benjamin has spoken in person and via video conference to well over 250 schools, universities and communities across 24 countries, specifically as an agent for Peace Day awareness and engagement. Whether from a stage or on screen, his ability to fast create rapport and deeply engage through storytelling and collaborative interaction, often leaves people on a high. Beyond outreach achievements, Benjamin has repeatedly helped bridge corporate and education agendas through creative input and consultation, and lead in programme management as part of Peace One Day’s campaign, focussed in The Great Lakes Region of Africa. Most notably, he project managed Peace One Day’s initiative to design and distribute an interactive, culture-sensitive Peace Education Poster to over 71,000 schools across 6 countries (DRC, Rwanda, Uganda, Kenya, Tanzania and Burundi). With support from UNICEF and various, top-level government agencies, this has provided millions of pupils with a gentle reminder of peacemaking, through a fun and vibrant classroom resource. At this International Summit, Benjamin will be sharing deeper elements of the story and numbers behind Peace One Day’s incredible work, and beyond this, leading an interactive workshop for Peace Day activation. 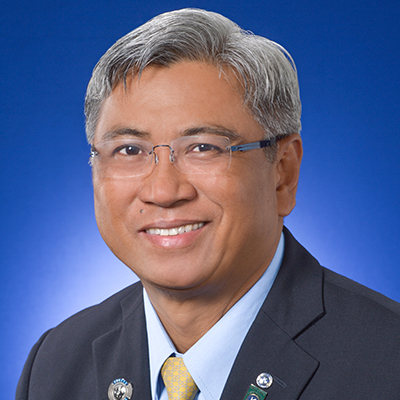 Florencio “Poly” Lat of the Philippines was elected President-elect of Kiwanis International in July 2017 at the 102nd Annual Kiwanis International Convention in Paris, France. Poly has been a Kiwanis member for 28 years. He became President of the Kiwanis Club of Intercity Homes in 1991, Lieutenant Governor in 2000, and served as Governor for the Philippine Luzon District in 2011-2012. He is also a Charter Member of the Kiwanis Clubs of Manila Bay and Fort Bonifacio Global City. Poly, a Charter Walter Zeller Fellow and George F. Hixson Fellow, is one of the Distinguished District Governors honored in the 98th Annual Kiwanis International Convention in Vancouver, British Columbia.He was also a recipient of the Presidential Inspiration Award and Legion of Honor. Kiwanis ASPAC conferred him the Awards as Champion in New Kiwanis and SLP Club Building for organizing 28 New Kiwanis Clubs and 17 New SLP Clubs within his term. In ASPAC Convention in Colombo, Sri Lanka, the Philippine Luzon District also won ASPAC’s Best Service Project Award to complete the Grand Slam. On top of these recognitions under his leadership, Kiwanis received The Outstanding Philippine Leadership Excellence Award in Philanthropy (TOPLEAP Award) for Environment, from a joint project of the Rotary Club and Junior Chamber International. A Senior Officer of the Philippine National Bank, Poly spends his non-Kiwanis time playing tennis, badminton, chess and having fun with his family and friends. 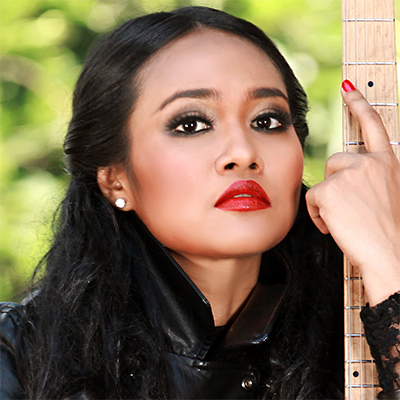 Pop, Rock, Glam-rock singer Phyu Phyu Kyaw Thein was born Phyu Phyu Thein in 1981 in Rangoon, Burma. She started singing in her teens in a church choir. While studying to become a doctor, she self-released her first album with the help of friends who were inspired by the then 19-year old saying "I want to become a world famous singer" in a country which no longer knew the world and which the world had largely forgotten. Dividing her time between studying during the day and recording her 2002 debut album ‘Nothing To Do With Him Anymore’ by night, Phyu Phyu met legendary Burmese rock band Iron Cross in the studio. They invited her as opening act for their 2003 concerts, providing the chance for Phyu Phyu to combine her powerful voice with her unprecedented style of stage performance. Her live shows earned her rave reviews, a fan base, and hailed Phyu Phyu as the new face of rock in Myanmar. The next ten years saw Phyu Phyu in a constant cat and mouse game with the country’s strict political and social censorship machine, her videos at times banned because of her ‘unusual style of singing’ or because her lips ‘moved too sensual’. Following the releases of Phyu Phyu’s subsequent solo albums ‘The Curse of Love' (2007), ‘Memoir of a Diva’ (2011) and ‘Damsel in Distress’ (2012), Phyu Phyu firmly established herself as Myanmar’s top female artist, earning awards for best selling artist, critical acclaim for alternating skilfully between Burmese and English language during her rock and musical performances, and respect for recording her own original compositions. Her most recent album ‘Thou Shalt Be Remembered’ (2015) evokes past atrocities committed by anti-democratic forces. Featuring the controversial song ‘War’, the album takes a critical look at Myanmar’s past, and sends a hopeful note for the future. Phyu Phyu performed across Asia, Australia, the US and Europe. She represented Myanmar at the 40th anniversary ASEAN concert in Singapore (2007), headlined the MTV EXIT Live in Myanmar concert alongside Jason Mraz in front of 70.000 people (2012), performed together with the Dutch Metropole Orchestra at the Masterpeace concert in Amsterdam (2014), and featured as a performer and judge at South Korea's Galaxy Star singing contest (2017). Phyu Phyu has served as celebrity ambassador for UNICEF, MTV EXIT (End Exploitation and Human Trafficking) and MANA (Myanmar Anti-Narcotics Association). She was also elected General Secretary of the Myanmar Music Association. Phyu Phyu Kyaw Thein is currently working on her 7th album, which sees her collaborate with the NUAC orchestra on a fusion of traditional and Western music. Mbulelo Bikwani was born in Guguletu, Cape Town, 50 years ago. He is married to Nombulelo, a law graduate from the University of Fort Hare and they are blessed with three (3) daughters, Nina (29), Lihlumelo (14) and Lelesibini (11). He worked as a messenger and later Pharmacist Assistant at Groote Schuur Hospital, and as an Assistant Researcher at the Community Law Centre at UWC and was among the first Commissioners appointed by the Commission for Conciliation, Mediation and Arbitration [CCMA] in 1996 and in that same year was founding President of the CCMA Staff Association, a union within the CCMA. He left the CCMA in 1998 to join Rentokil in 1999. 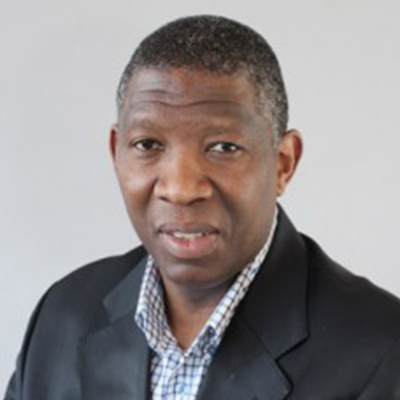 In Sept 2010, he was elected as the Chairperson of the Cape Peninsula University of Technology (CPUT) and in Nov 2012 he was elected the Chairperson of the University Council Chairperson’s Forum – SA, a forum of all the council Chairperson’s of the 25 universities in the country and on the 11 October 2014 he was re-elected as Chairperson of CPUT Council. In 2011 he launched a Bursary fund and named it in honour of his friend who gave him his first cheque to pay his fees at UWC. The fund is known as The MGCOBISI MOFFAT NGCEBETSHA BURSARY FUND and to date has raised over R500,000.00 with a target of R10m by end of 2017 and the fund is meant to support CPUT students. He served and is still on the boards of a number of companies and organizations; he also serves as a faculty member of the CHARACTER FIRST movement. Still helping churches with understanding what God says about Money and Possessions (stewardship). He runs workshops, speaks at conferences and from time to time he is an invited preacher around the Continent. He is a law graduate from the University of the Western Cape [UWC] where in 2012 he received an award from the Convocation for being a leader of integrity. With his wife, they have travelled extensively. In 2017 he was appointed as the CEO of the Desmond & Leah Tutu Legacy Foundation. Schooled at S. Thomas’ College, Mount Lavinia, Sanjana read English at the University of Delhi, India and as a Rotary World Peace Fellow, was awarded an Advanced Masters in Conflict Resolution and International Relations from the University of Queensland, Brisbane with a Dean’s Commendation for High Achievement. He is currently a Senior Researcher at the Centre for Policy Alternatives, and oversees the work of the Centre’s Media Unit. Since 2006, Sanjana is a Special Advisor to the ICT4Peace Foundation based in Geneva, Switzerland. Through the Foundation, Sanjana works to further the use of ICTs in crisis information management and peacekeeping initiatives at the United Nations. As a Fellow of the Centre for Information Technology and Dispute Resolution at the University of Massachusetts, Boston, Sanjana has contributed to the praxis of Online Dispute Resolution (ODR), focussing on how web and mobile technologies can strengthen ethno-political conflict transformation. Sanjana is the founding editor and sole curator of Groundviews (www.groundviews.org), an award-winning web based civic media initiative based in Sri Lanka. He contributes regularly to and is quoted widely in leading local and international media and academic publications. 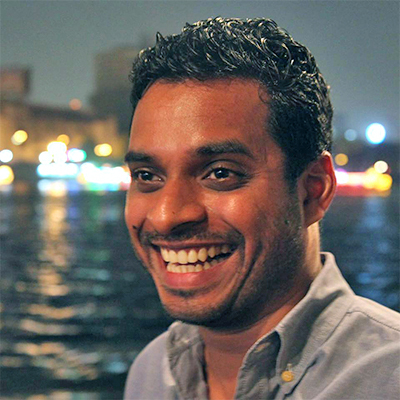 In 2011, Sanjana was the first Sri Lankan to be awarded a TED Fellowship, two years after he was awarded a News & Knowledge Entrepreneur Fellowship from the Ashoka Foundation. Both awards recognise pioneering efforts to leverage web based citizen journalism and new media to bear witness to violence and strengthen democracy, human rights and a just peace. An experienced trainer in local and international fora for over 12 years, Sanjana is widely recognised as a pioneering voice in the design and implementation of ICTs and new media eco-systems in peacebuilding, online dispute resolution, conflict transformation and crisis response. Dr. Goodluck Ebele Jonathan, president, Federal Republic of Nigeria, 2010-2015, was born in Otuoke, Bayelsa State on November 20, 1957. He attended St. Stephen’s and St. Michael’s Primary Schools in Otuoke and Oloibiri in Bayelsa State respectively, and then Mater Dei High School at Imiringi for his post-primary education. Both his primary and secondary schools were established by the missionaries in the rural Niger Delta region of Nigeria. He earned his Bachelors, Masters and Doctorate degrees in Zoology, Hydrobiology and Fisheries Biology from the University of Port Harcourt, Nigeria. Before joining politics, President Jonathan served as a Science Inspector of Education, a lecturer, and later as an Assistant Director in the Directorate of Environmental Protection and Pollution Control in the defunct Oil Mineral Producing Areas Development Commission (now Niger Delta Development Commission). President Jonathan’s active political career began in 1998 when he was first elected Deputy Governor of Bayelsa State and he served in that capacity from 1999-2005, where his innate traits of humility, service and loyalty were first publicly noticed. He thereafter became the acting, and later the substantive Governor of Bayelsa State from 2005-2007. 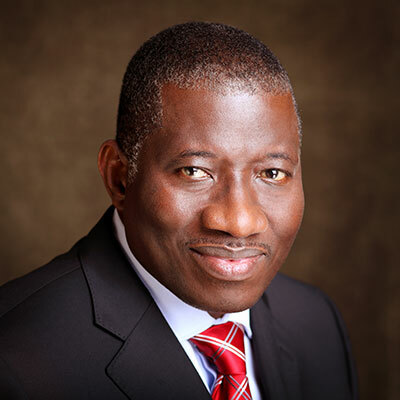 Goodluck Jonathan was elected Vice President of the Federal Republic of Nigeria in 2007, a position he held till 2010 when he became acting President and later president on the demise of the then President Umaru Musa Yar’Adua, whom he loyally served during his lifetime as the President. As Vice President, and being from the Niger Delta region, President Jonathan worked with the late President Umaru Musa Yar’Adua for a road map solution that saw the acclaimed Niger Delta Amnesty Program, which brought peace and stability to the region. As President, Goodluck Jonathan made a commitment to change the global negative perceptions of the Nigerian elections; to make them non-violent, free, fair and credible. He, therefore, set out, piloted, contested and won, as duly elected president in 2011. He pursued a transformational agenda with unusual vigour, leading the implementation of projects and policies targeted at promoting development across different areas. While in office, President Jonathan upheld democratic principles and reformed the Nigerian electoral system. He empowered women and the youth and was instrumental in bringing peace to several West African nations. Dr. Goodluck Jonathan, through the Goodluck Jonathan Foundation, is committed to replicating this best practice in every African nation and in as many countries of the world as the need may arise. Under his watch, Nigeria experienced unprecedented economic growth and became the largest economy in Africa with GDP of more than half a trillion dollars. He promoted democratic values and principles, peace and national security. President Jonathan has received several local and international awards in recognition of his exceptional public service. Dr. Goodluck Jonathan is totally committed to democracy, credible elections, peace and respect for the rule of law in Africa. President Jonathan’s enduring commitment to peace is reflected in his decision during a very tense political climate following the 2015 Presidential Elections. He placed his country’s unity and freedom above his own personal ambition and allowed Nigeria and Nigerians to witness the peaceful transfer of powers from one democratically elected president to another from the opposing party, for the first time in the nation’s history. This uncommon selfless act in African politics substantiates one of President Jonathan’s most popular statements: “my political ambition is not worth the blood of anyone”. Aalok is the Regional Manager for Search for Common Ground, Nepal, where he manages all programming in the eastern regions of Nepal. He designs localized capacity building training on justice and security, women’s leadership, governance and peacebuilding to youth, women and marginalized communities, and works closely with local stakeholders on these issues. Previously, he was a Program Coordinator for Youth and Security with Search, where he designed youth-friendly interventions to ensure their meaningful participation in peacebuilding and security related work. 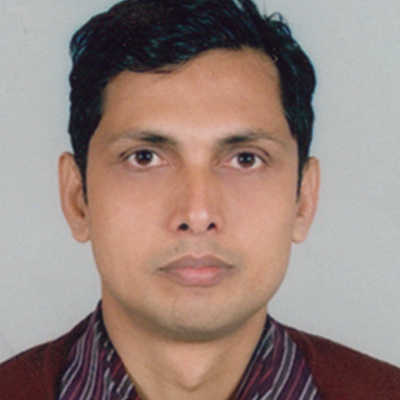 Before Search, he was the Secretery General for the Mithila Research and Development Center where he designed need-based and empirical research on the political situation in Terai and generated evidence to support the development of effective projects with local NGOs. He holds a Master’s in Political Science from Tribhuvan University and a Bachelor’s in Information Technology from Sikkim Manipal University.